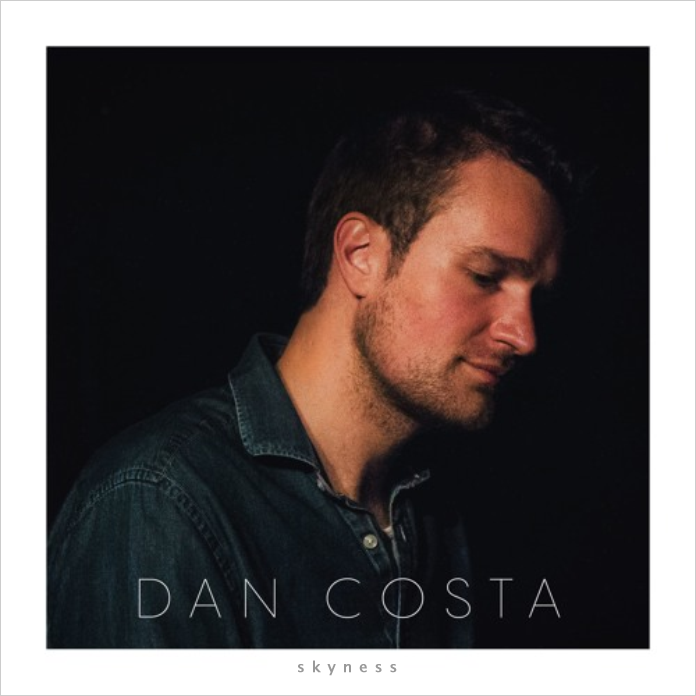 The pianist Dan Costa might surprise – even shock – some of his contemporaries by inventing harmonies and chords that effectively reinterpret tonality on his rather abstract and impressionistic album Skyness. He actually might already have been moving in that direction with his earlier album Suite Três Rios. Although he lives mostly out of Europe he has seemed – at least for now – to dream out of Brasil and this seems to have had a profound effect on his music, producing more of the Brasilian sense of saudade that seems to have consistently expanded his musical vocabulary and set the tone and pace of his music, which is usually languid, but can also evoke the leap and shuffle like a dusty street samba albeit without ever being one. The elemental beauty of Mr Costa’s music is starkly realised in every nook and cranny of this recording. The programme is extremely focused and the music has almost certainly been written with the musicians with whom he collaborates here in mind. As a result with each of the musicians Mr Costa explores each composition in considerable detail, from thematic development, through shifting harmonic landscapes – impression seeming to matter most in each seemingly free-floating work that is at once both proverbially formless and full of tightly controlled, well, form as well. And each of the pieces is marked by a lofty sophistication of technique in his pianism. The result is some of the finest piano music you might ever hear; evocative music which is virtually akin to the ideal of a “hammerless” piano. His collaborations are masterful as well. This is, naturally, facilitated by having some of the finest musicians – both technically as well as intuitively – on board for the journey. The theme of the recording comes from its enigmatic title: Skyness. This suggests not only expansiveness, but also changing colours and shifting densities, not to mention seemingly endless possibilities of sound. Mr Costa delivers the theme on all fronts by choosing his partners wisely; flutist Teco Cardoso for the wistful “Compelling”, guitarist and composer Roberto Menescal and bassist Jorge Helder for the tantalisingly evasive “Tempos Sentidos”, the mighty virtuosity of guitarist Romero Lubambo to unravel “Sete Enredos”. The Portuguese guitarist Custódio Castelo helps to bring to life the glow of “Lisbon Skyline”, the radiant electric guitar of another brilliant Brasilian Nelson Faria for the appropriately entitled “Lume”; and for the feature “Skyness”, a masterful tenor saxophone of Seamus Blake to deepen the mystery and mystique of “Skyness” which brings this exquisite and eloquent album to a close, though not without leaving one gasping with disbelief at music of such beauty; and being hungry for more of the same always knowing that more is always likely to come from as deeply gifted a musician as Mr Costa.